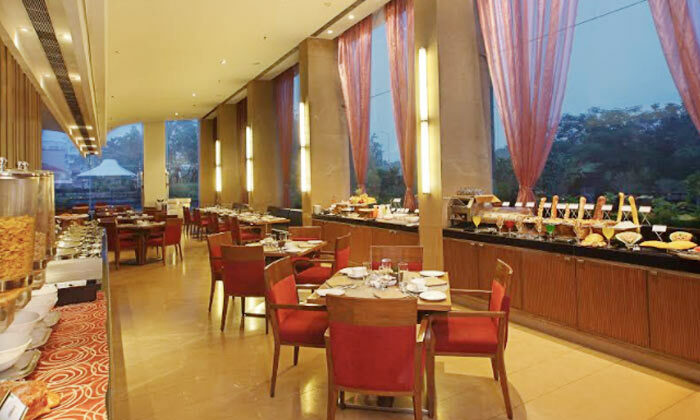 Set within the elegant hotel The Fern, located in Sola, Ahmedabad, lies the multi-cuisine restaurant The Garden Cafe. The cafe features cozy and sophisticated interiors with patterned walls, eye catching décor and plush seating arrangements. They serve a range of veg, non-veg and Jain dishes of North Indian, Italian, Asian and South Indian cuisines. The offers buffet optios as well as an a la carte menu to choose from. The extensive menu combined with the relaxed ambiance and efficient service makes The Garden Café just the spot to enjoy a meal with friends or colleagues.